Once the sun has set, you’ll find the young Bangalore crowd exploring the city. They may choose to eat some great food, catch a live gig, or even camp under the stars. If you’re new to Bangalore, or just visiting, you’re going to want to check out what Bangalore has to offer at night. 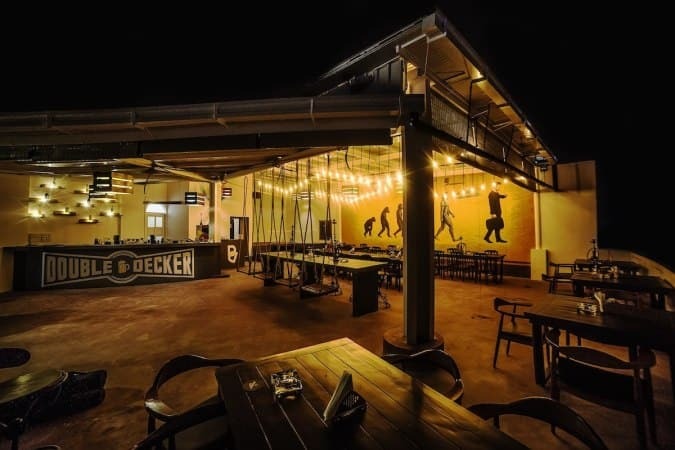 Here are the coolest nightlife experiences in Bangalore. A favourite thing to do at night in Bangalore is getting a few cocktails at one of the many rooftop bars in the city. While there may be rooftop bars in other parts of India as well, none share Bangalore’s year-round pleasant weather. Most rooftop bars here offer a delectable selection of cocktails. Whether you like them shaken or stirred, you’ll find your favourite one at Bangalore’s happening rooftop bars. Besides the delicious cocktails, the bars offer patrons a panoramic view of neighbourhood skylines. Some of these rooftop bars have special events like karaoke nights and live performances on the weekends. Even if you’re new to Bangalore, you may already know that Indiranagar is the place to go get a drink. A buzzing neighbourhood, the place is always bustling with activity at night. There are plenty of bars here, each offering something unique, whether it is karaoke or lazy lounging. One of the best bars in Indiranagar is Hangover, which houses a Volkswagen replica that’s used to serve cocktails. Other cool bars in the area are Monkey Bar, Toit, and The Humming Tree. Another great place for bar hopping in Bangalore is Whitefield. In this suburb there are plenty of bars where one can enjoy a night out with friends. The Whitefield Arms Pub is a unique place to check out. It is designed to look like a typical British Pub and has an open terrace with an excellent view of the Whitefield neighbourhood. Average Cost: The average cost at bar in Bangalore ranges from Rs. 1200 to Rs. 2500 for two. Bangalore is home to some of India’s best eateries. You have a plethora of options to choose from, both vegetarian and non-vegetarian. For vegetarian food, head to V V Puram Food Street after 7 pm. The street is abuzz with foodies who come here to savour everything from dosas to pav bhaji and even dal bajjis. The street is home to over 20 food stalls that serve delicious foods that are sure to light up the darkest of your days. If you’ve still got room for more, head over to Jayanagar which is open until midnight and really popular for chaat. Popular places to try here are Rakesh Kumar Pani Puri & Chaat, Hari Super Sandwich and The Lassi Park. 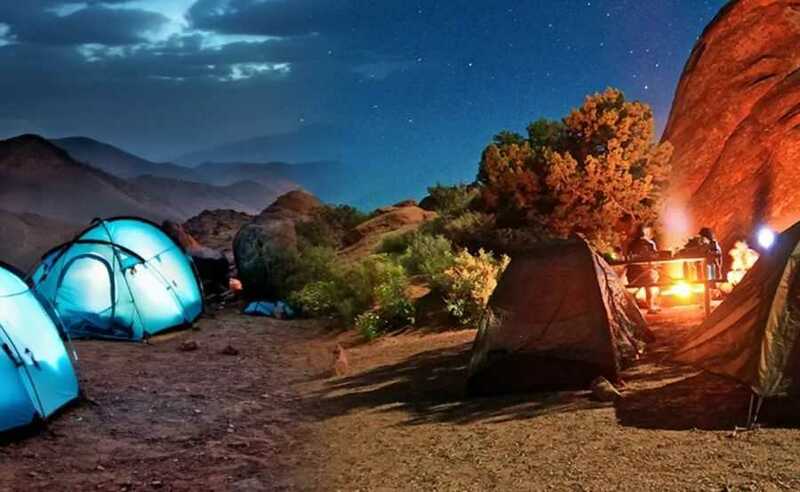 Camping in the mountains or hills is the perfect way to meet new people. Some popular camping sites near Bangalore are Kanakapura (located about 63 kilometres from Bangalore city centre), and the Ramanagara Hills, about 50 kilometres from Bangalore city. If you’re looking for more scenic spots, don’t forget to check out the Manchanabele Arkavati River backwaters. Bangalore has several trekking options in and around the area, but the best one perhaps is Skandagiri trek. It is located about 70 kilometres from Bangalore and is very safe. The climb up is easy and, if you leave around midnight, you could be up there to watch the beautiful sunrise. These are some cool things to do at night in Bangalore. If you have any more suggestions or ideas regarding what to do on a typical night in Bangalore, we would love to hear them in the comments section below.